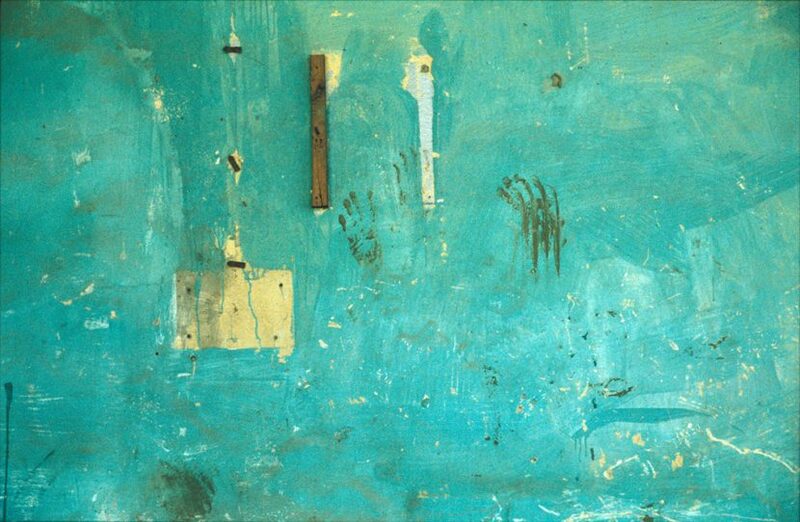 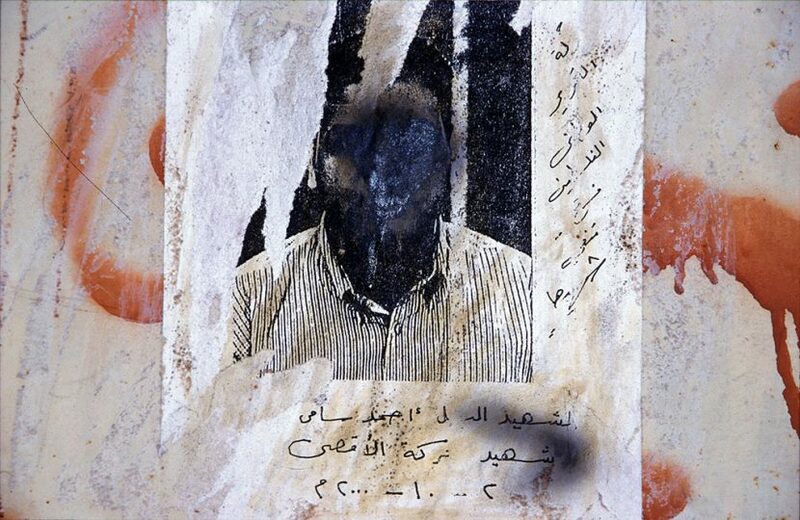 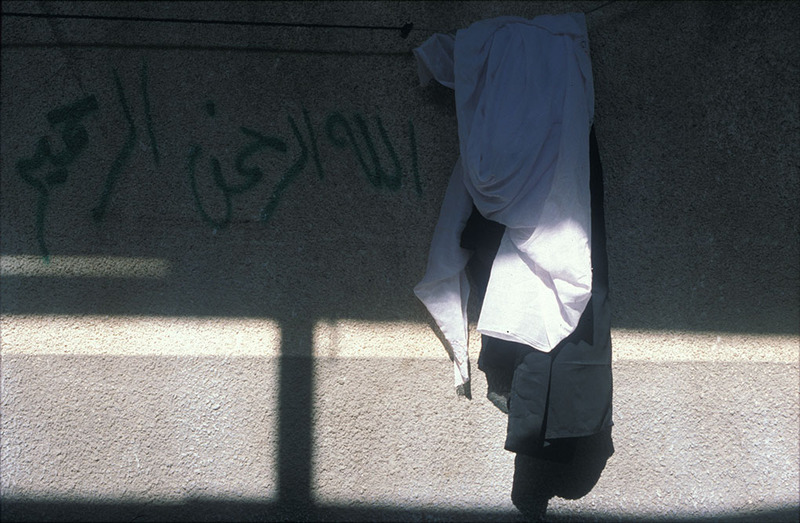 I realized this series in Gaza in 2001, during the first months of the Second Intifada. 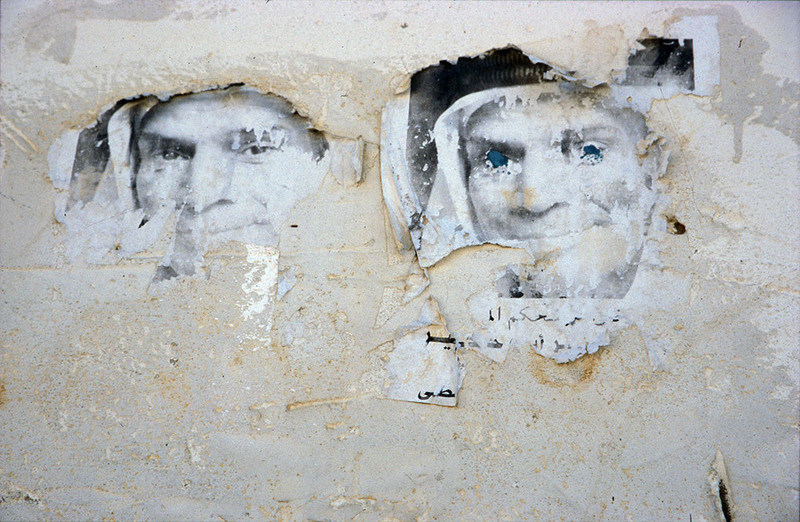 Over the days, on the doors and walls of the city, which have become information media since the First Intifada (1987-1993), there are many portraits of “martyrs” on display, “moral” posters, slogans, graffiti, technical records… The street thus carries the announcement of disappearances, successions of faces themselves inclined to erasure (voluntary or natural deterioration, tearing, recovery, passage of time…). 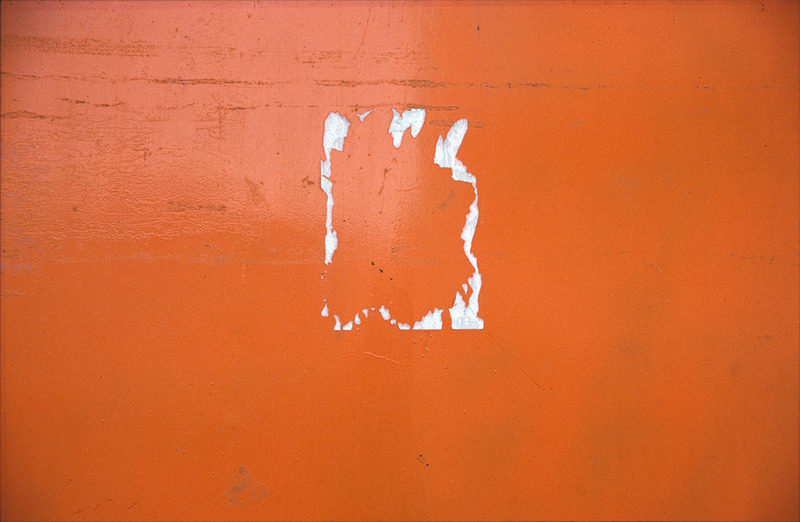 It is the uncertain status of these images that interests me here, the formal, symbolic and deeply identitarian complexity they contain. 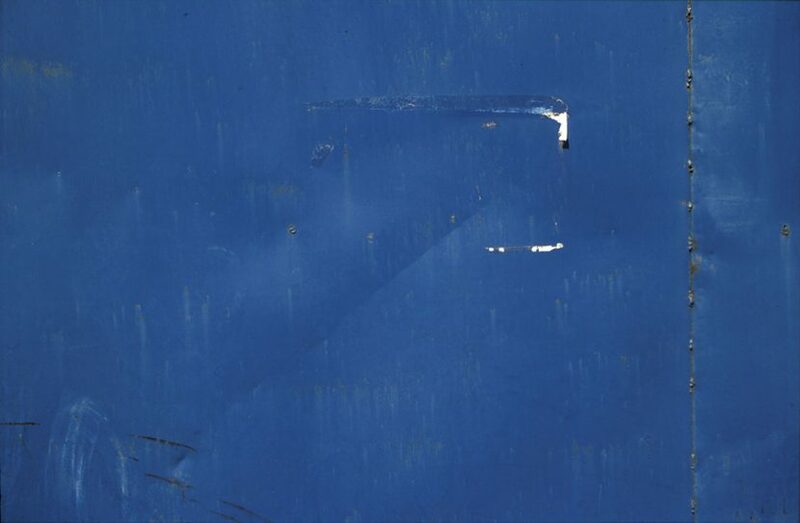 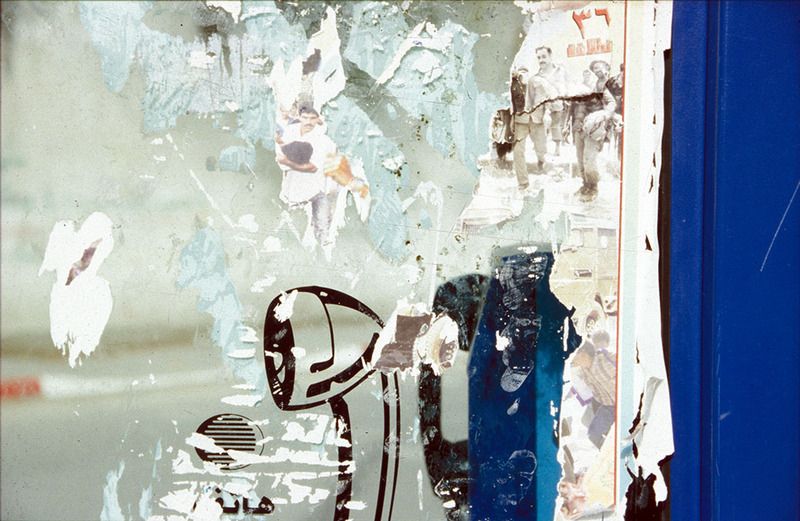 This series was conceived as the (re)presentation of this double disappearance: the absence of beings whose existence is somehow “recognized” through the imaged presence (the poster) and the disappearance of the vehicle itself of the memory. 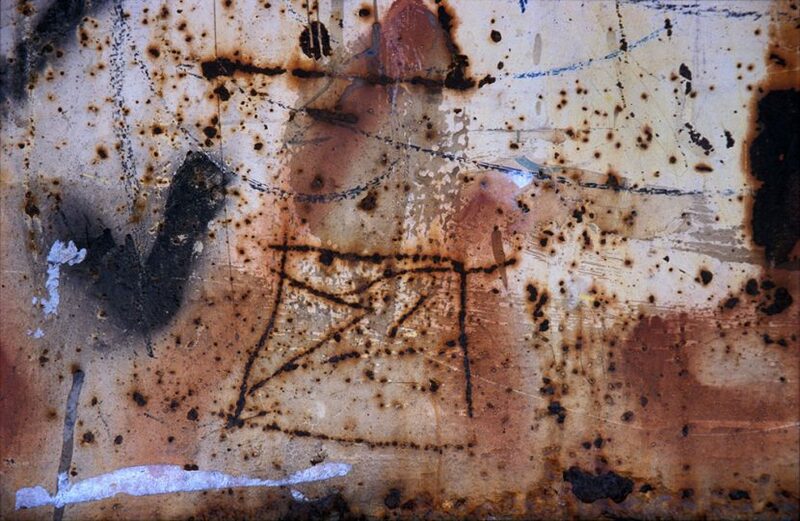 For several years, the notions of emptiness, absence and tearing away have punctuated my work. 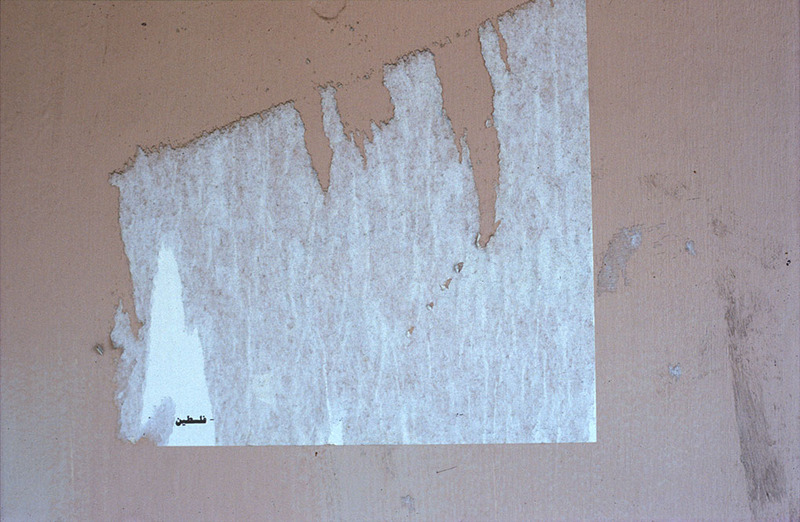 For example, the installation Absence (1997) or the ink series Untitled (2000), Fathers (2006), Untitled (2001-2014) or To my Brother (2012); a series of 60 hand carvings, based on photographs taken from the wedding album of his brother, killed by the Israeli army in 1987. 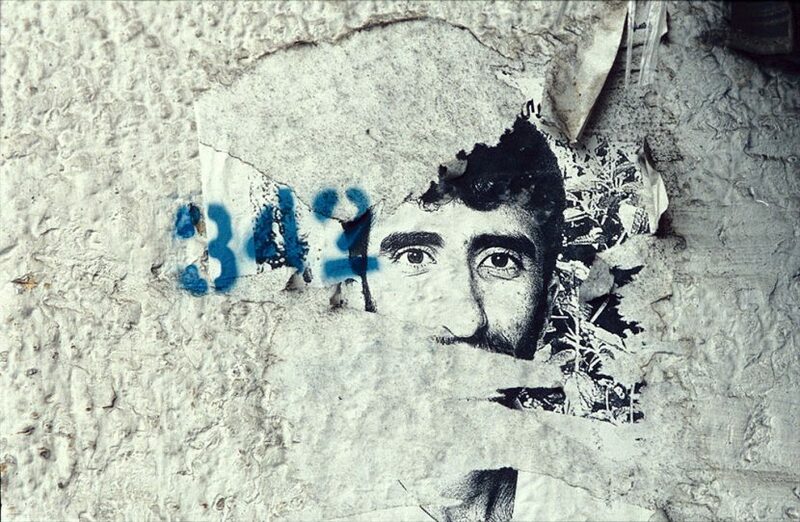 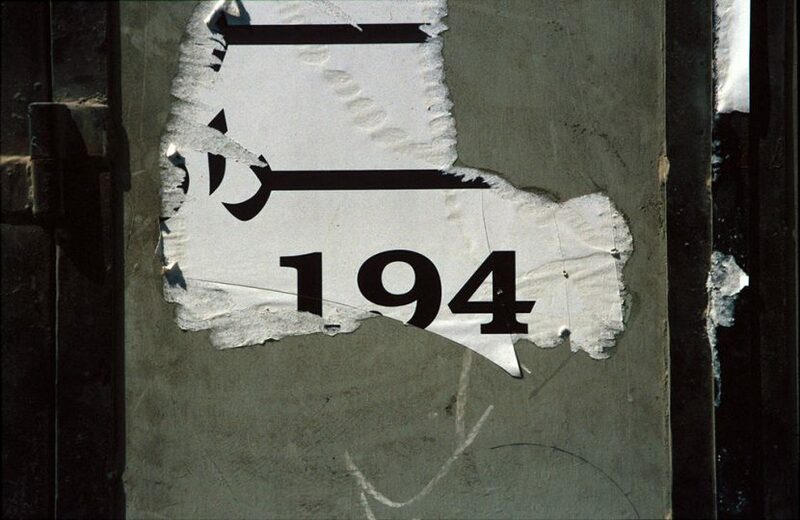 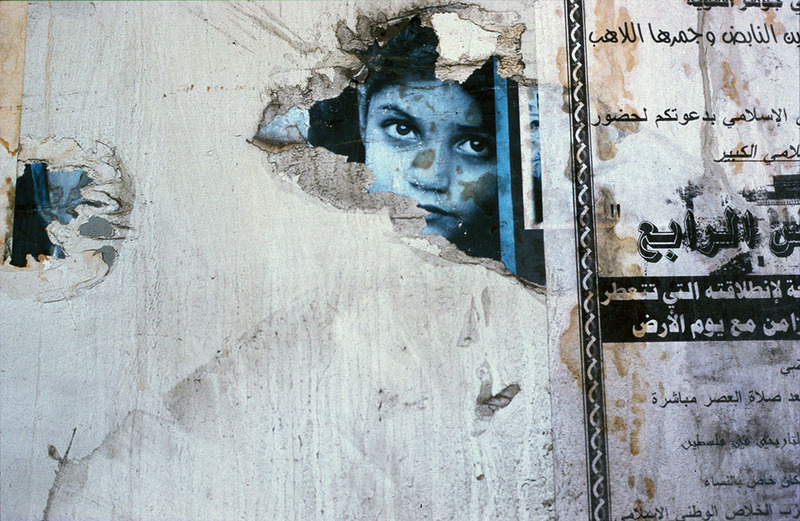 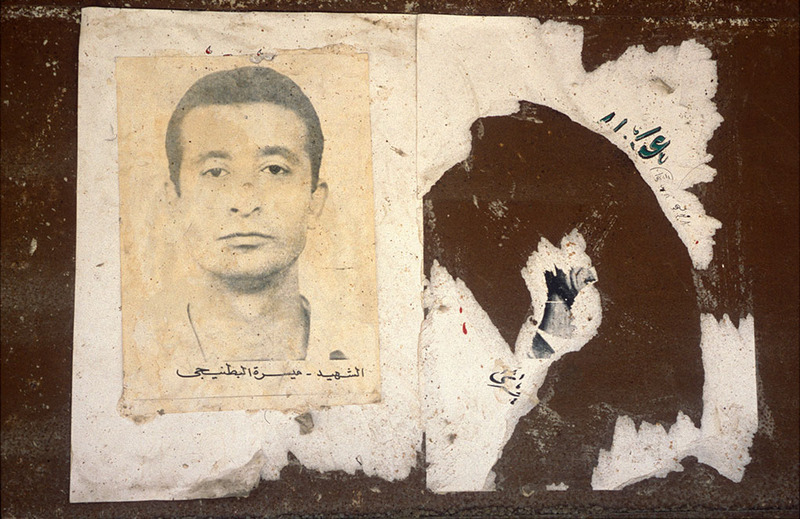 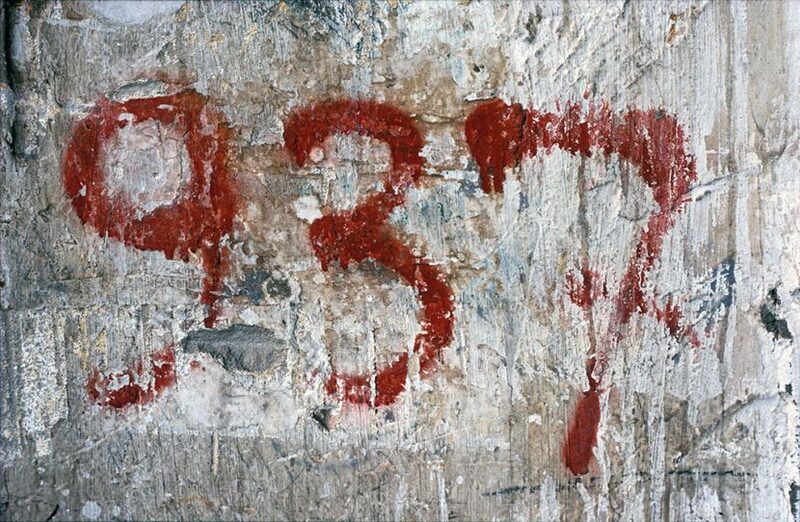 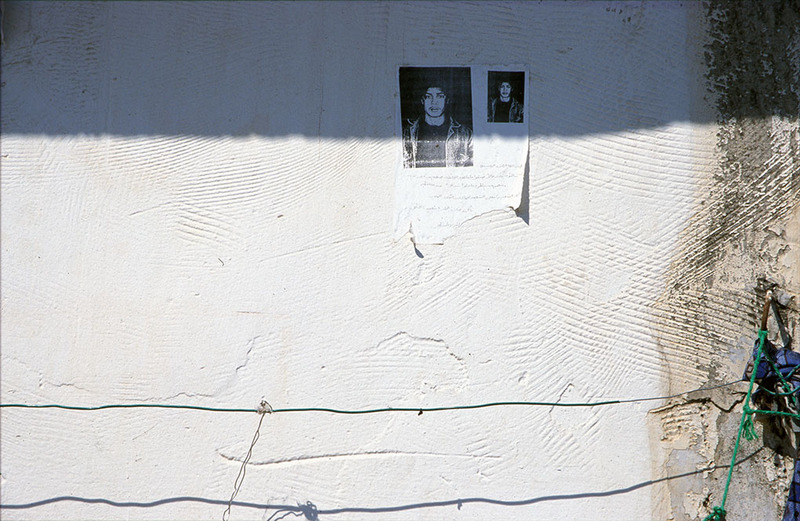 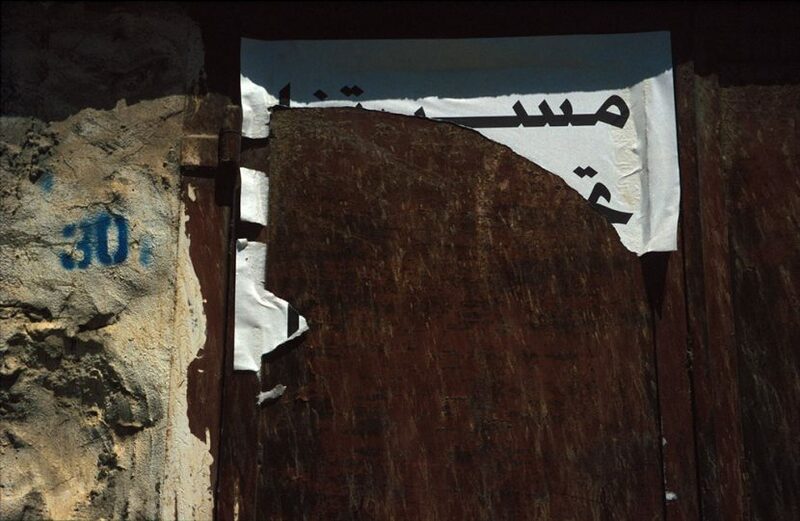 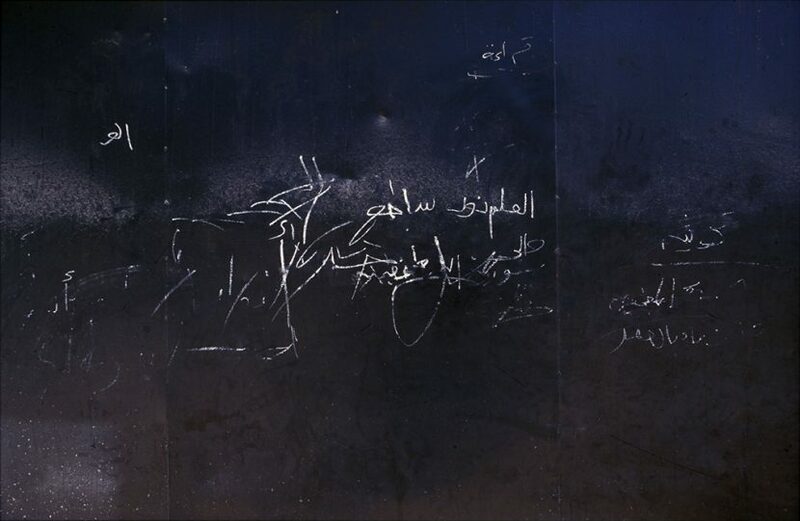 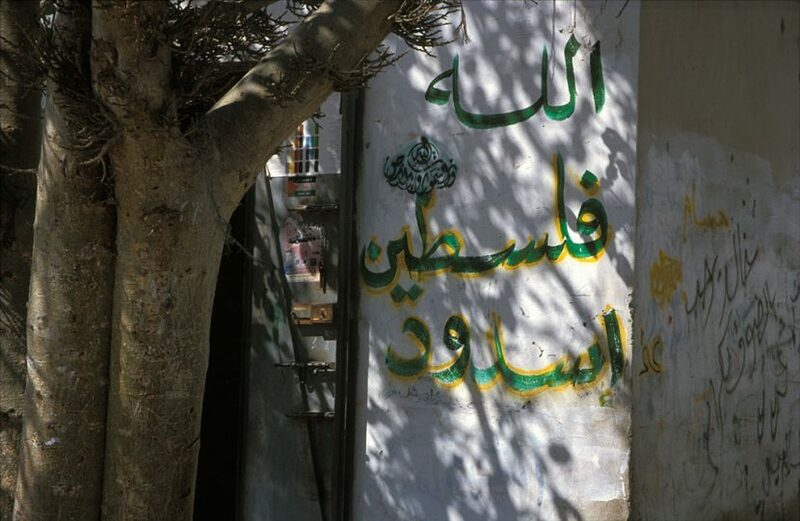 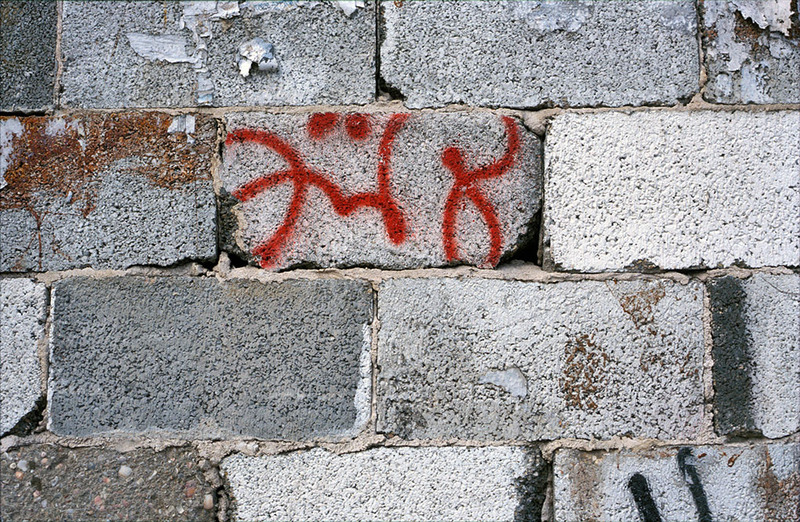 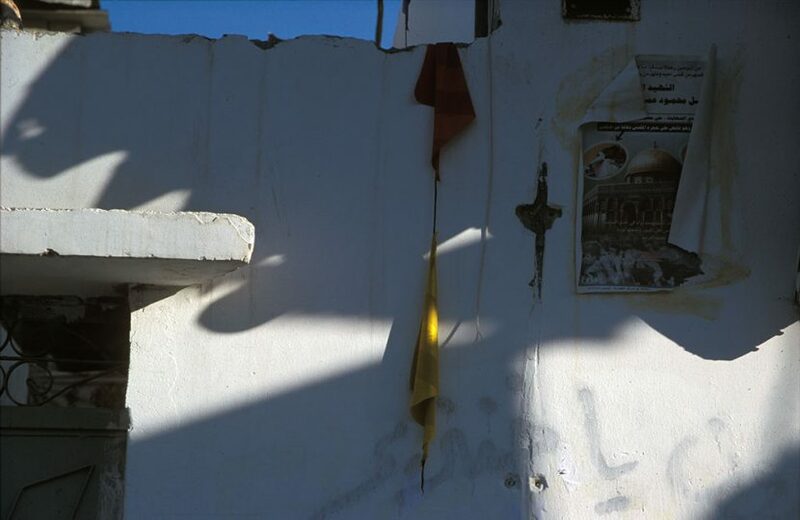 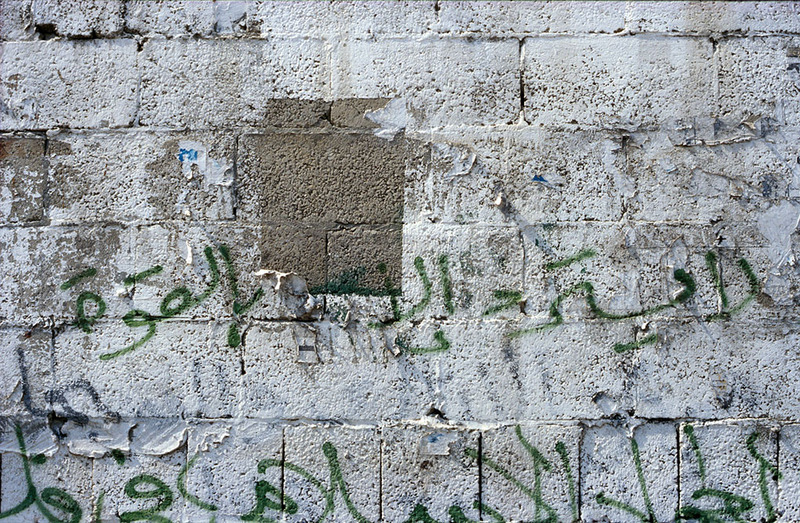 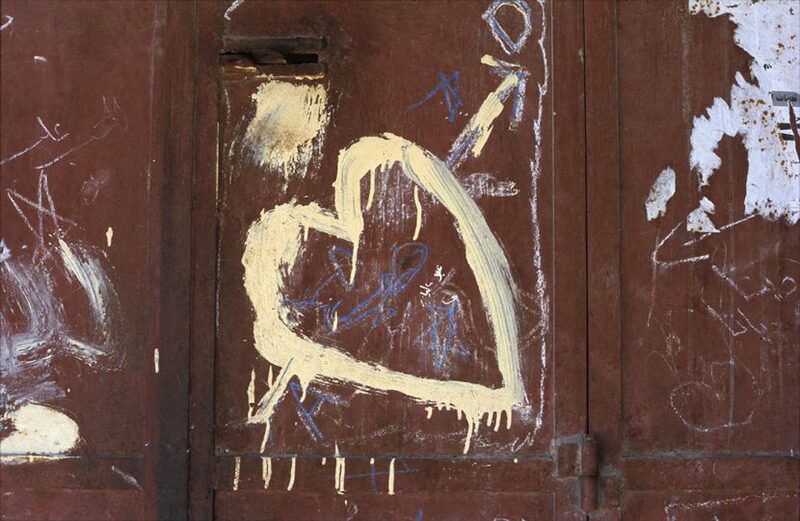 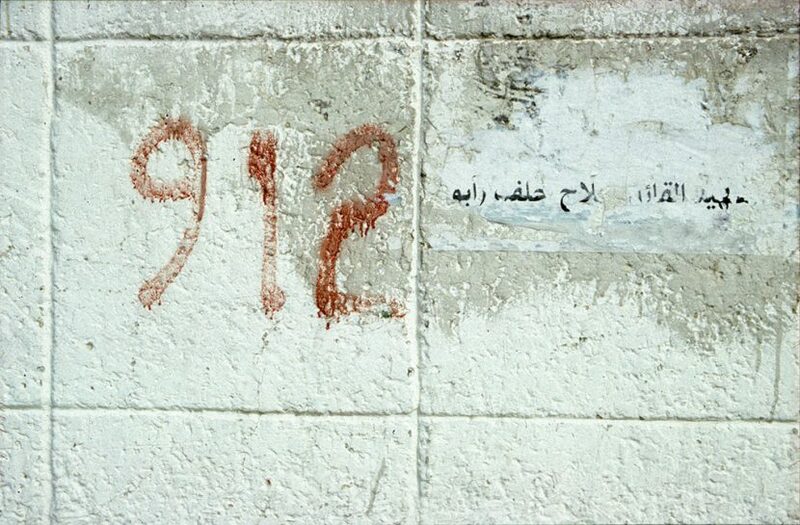 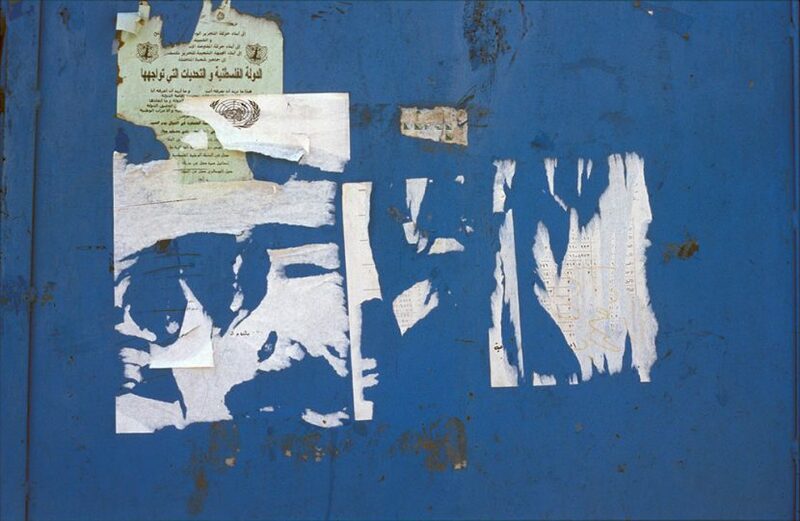 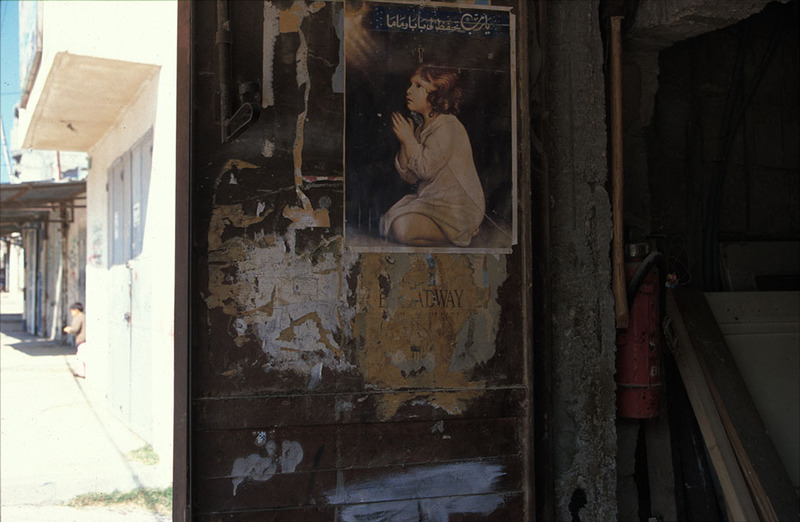 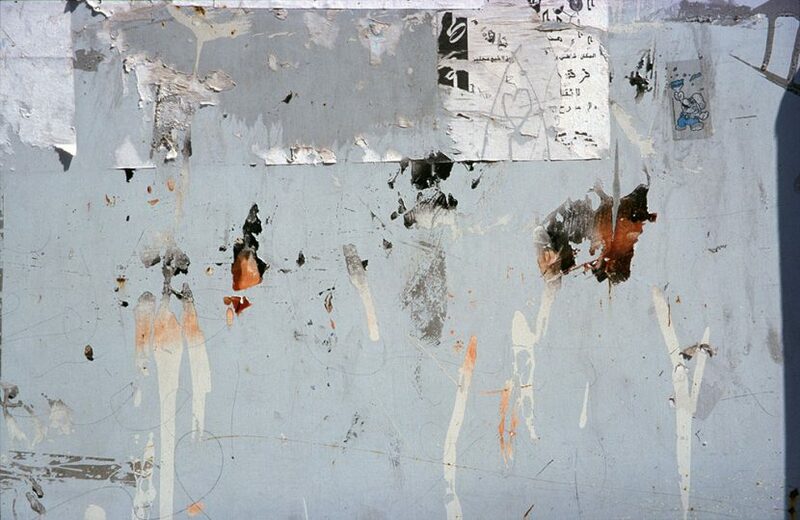 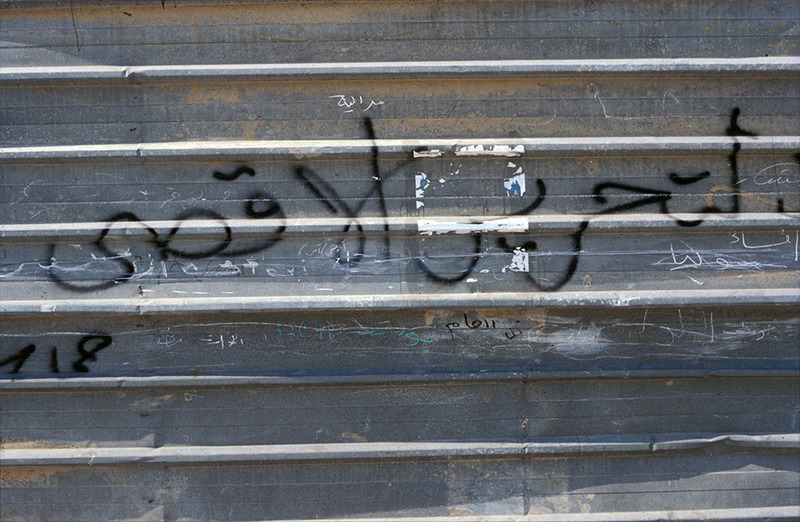 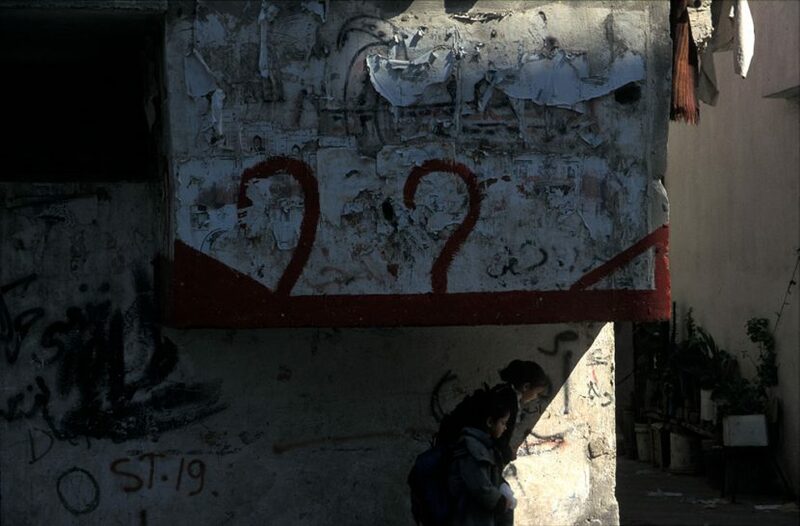 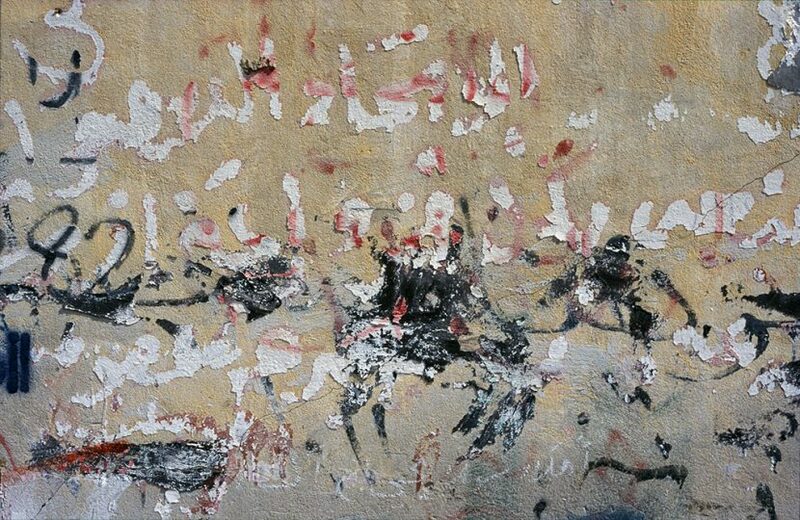 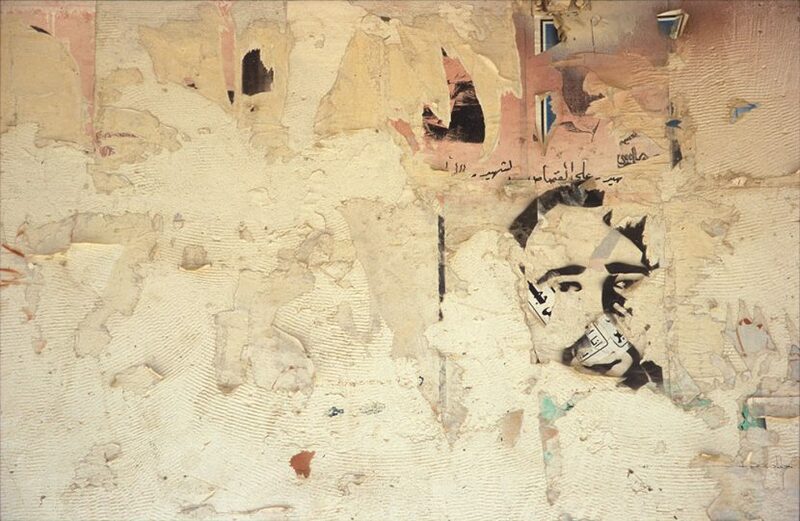 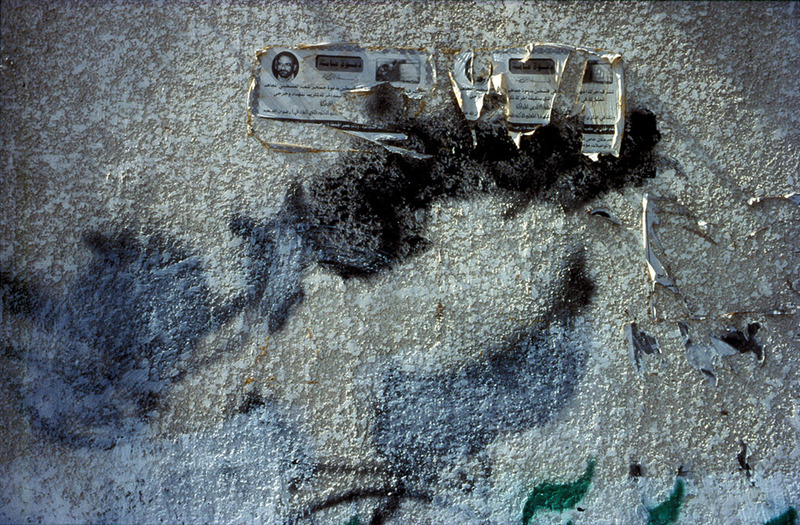 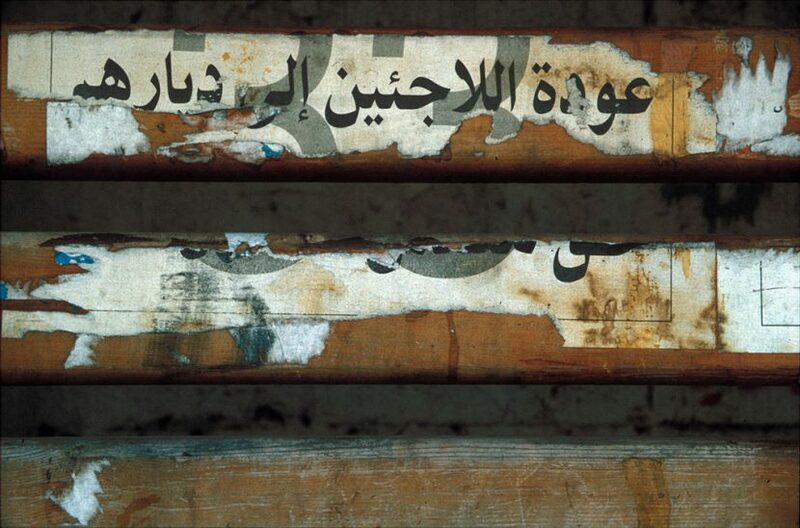 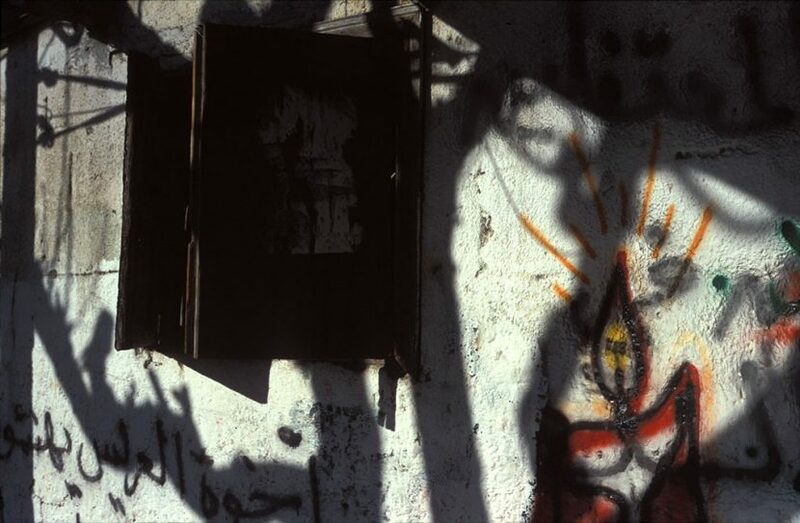 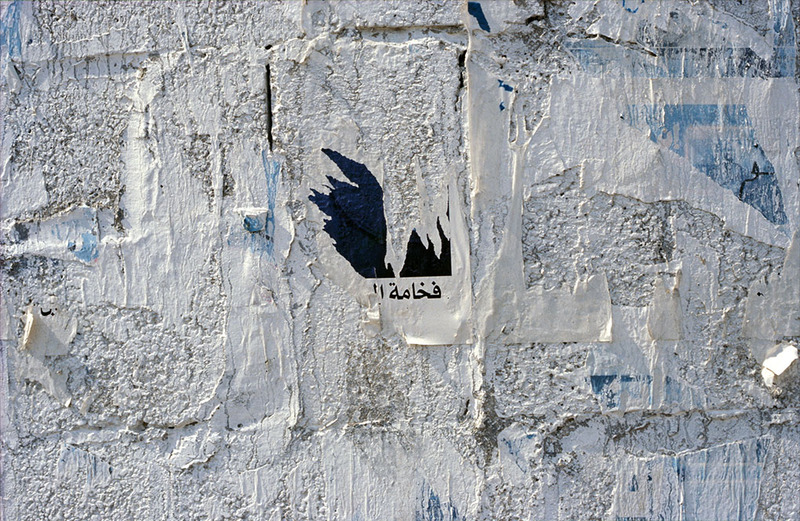 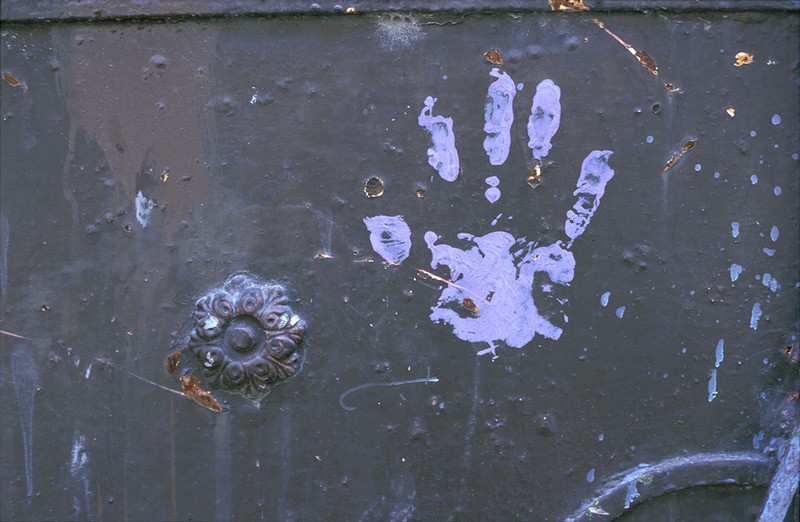 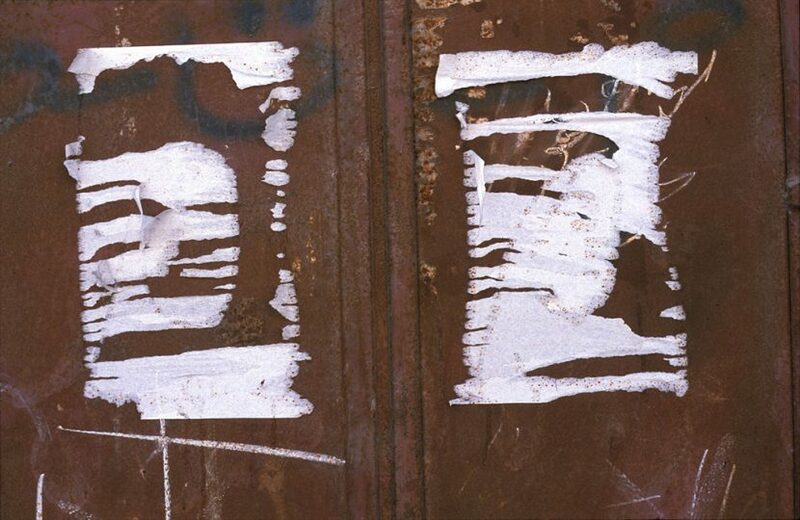 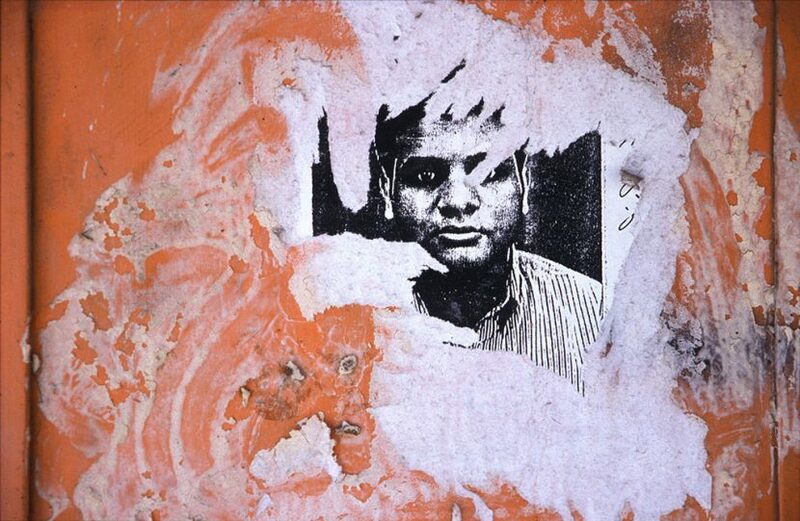 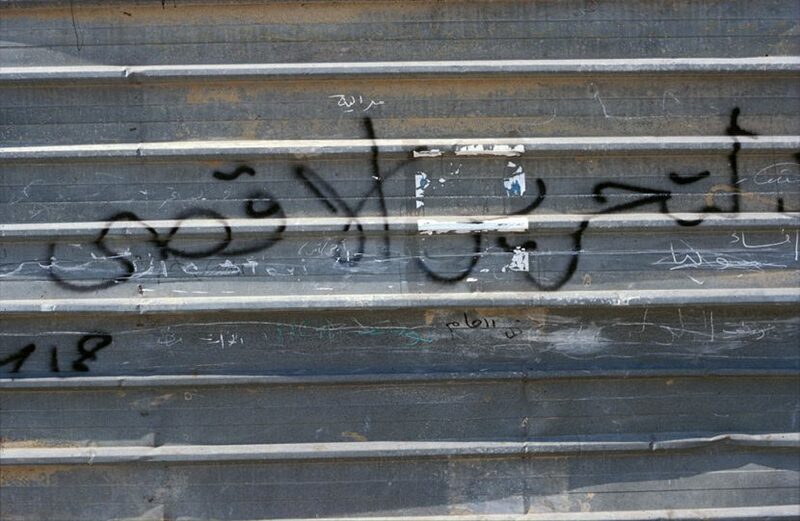 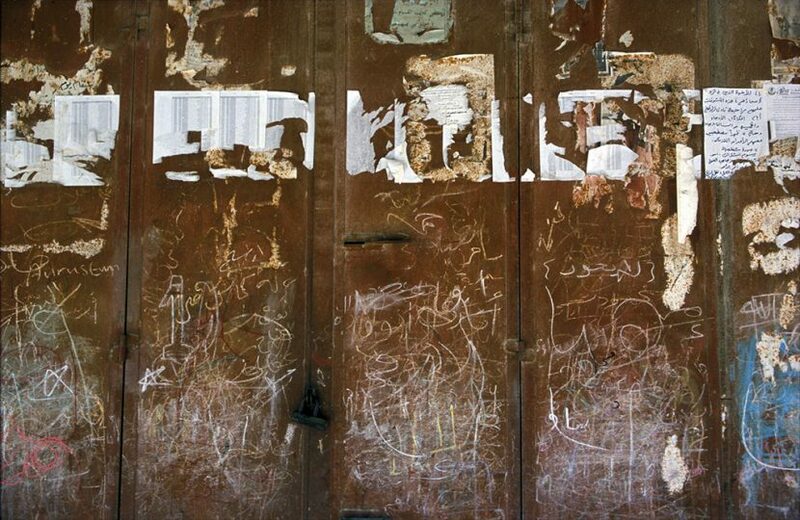 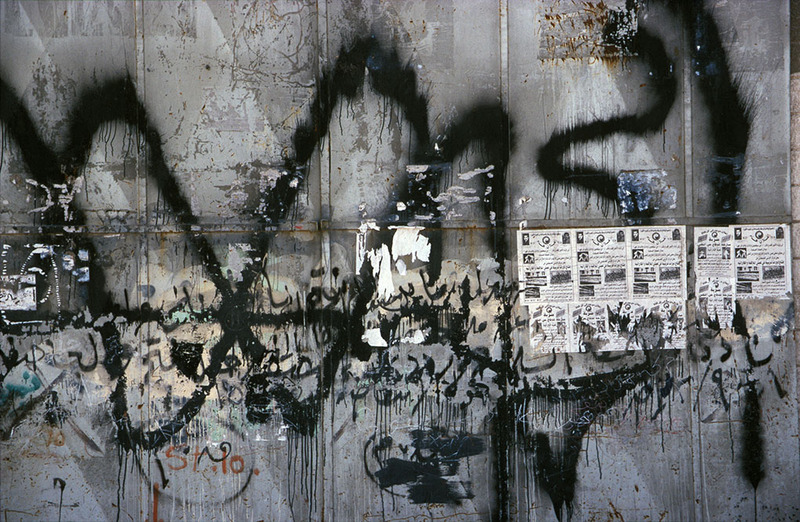 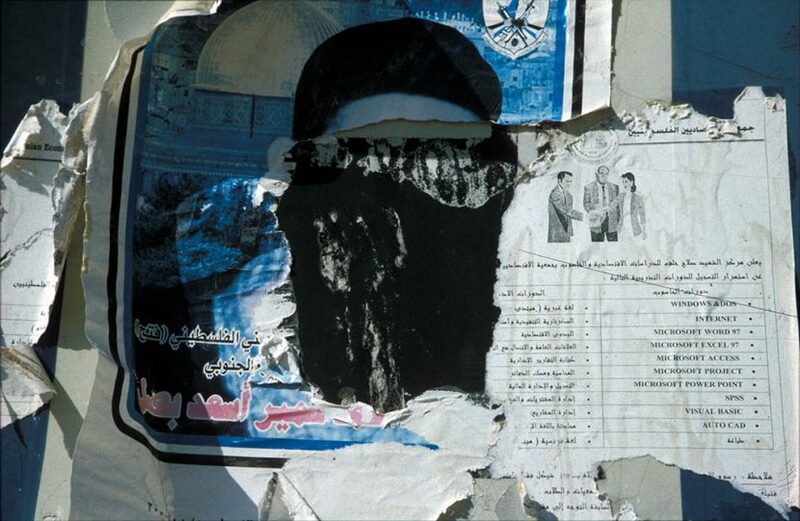 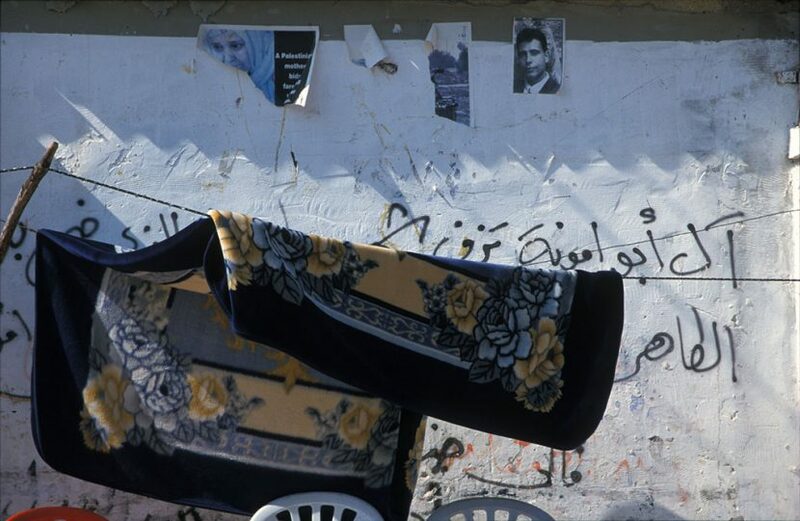 Photographic fragments taken in the streets, on walls and doors of Gaza during year 2001.